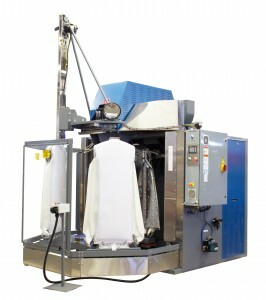 This is a triple buck garment press which is specifically designed to press long garments such as lab coats and medical garments, as well as shorter garments like shirts and chef coats. It presses both the front and back of the garments while powerfully steam-air finishing the sleeves. Standard with vacuum buck and automatic unloader.